Peak District based challenging, hilly, single loop events on a set course are similar in format to road cycling sportives. These events have a choice of longer or shorter routes with set cut offs/time limits to complete the course in; they are classed as endurance events and as such are non-competitive. When planning mtb marathon courses we aim for: maximum off-road riding, challenging climbs, epic descents and plenty of great Peak District scenery. The set routes are not 100% signed and to aid navigation riders are provided with a detailed colour OS route map and route description. However, the premise of the events is not totally to test navigational skills and therefore potentially tricky areas will be signed. GPS computers like Garmins are permitted and GPS tracks of the routes will be made available on our website to download pre-event. 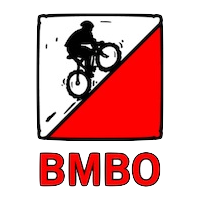 You must be a member of British Mountain Bike Orienteering (BMBO) to take part in our MTB events – it’s quick and easy to register by using the link below. Keep bang up to date with all our events by signing up to our Dark & White Events newsletter.